While traditional agriculture is strong, the County is experiencing agricultural diversity with the startup of vineyards, hard cider production and a local food system that is easily accessed through farmers markets, grocery stores and restaurants. Fly into Shenandoah Valley Regional Airport - only a short 20 minute drive to Harrisonburg. Located in the heart of Virginia's beautiful Shenandoah Valley, Rockingham County and the City of Harrisonburg form the Harrisonburg Metropolitan Statistical Area, which was named one of the Best Performing Small Metropolitan Areas in the US, according to the Milken Institute. The Harrisonburg Metro Area has followed a plan of revitalization as historic homes are being converted to museums and professional buildings, local shops have been renovated to create new retail and dining experiences, and former factories and mills have been refurbished as modern living and working spaces. Come be a part of this growing Metro. Sites and buildings are available throughout the area. Utilities and infrastructure are in place and ready for your project, including natural gas and fiber optics. 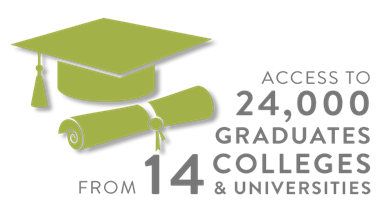 Rockingham County and the Harrisonburg Metro Area are home to a diverse, highly skilled and educated workforce. Area businesses take advantage of a labor pool of more than 284,000 workers supplemented by 24,000 graduates from the region’s colleges and universities each year. Local, regional and state incentives programs support the establishment of new facilities, the expansion of existing operations and job training. Rockingham County and the Commonwealth of Virginia are committed to helping new and expanding employers succeed. A number of incentives programs are available, which range from tax credits and tax exemptions to grants and customized workforce development programs. From healthcare to agriculture and logistics, Rockingham County and the Harrisonburg Metro Area are home to a diverse group of businesses in a wide cross-section of industries. 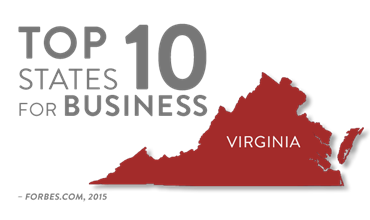 These businesses harness our region’s skilled labor pool and thrive due to our business-friendly environment. The Harrisonburg MSA is an affordable destination with an ACCRA cost of living index of 82-98%. Standard and Poors recently upgraded the Rockingham County’s general obligation bond rating from AA+ to AAA, the highest rating the agency issues. Rockingham County is a beautiful area with strong, diverse workforce offering excellent access to major transportation. Close to the nation’s capital, but far enough away for improved cost of living and doing business. Think Innovation. Think Development. Think Rockingham.